Since Apple’s record-breaking quarterly results earlier last week, we have spent some time working through our tracking studies and spreadsheets to provide a Canadian market angle and our results are in. 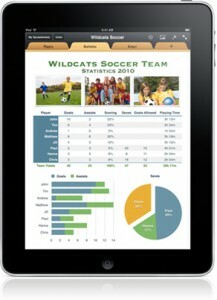 As of mid-January 2011, we are estimating that there were nearly 400,000 iPads (wifi and 3G combined) in the Canadian market, taking account the 2010 Christmas season sales. This is about 2.5% of all iPads sold by Apple to date. Based on buying intentions and upcoming product launches, the 1-million tablet penetration mark is in line of sight by the end of 2011 according to our calculations. Apple should account for about 80% of this total. We also estimate that about half will be wifi devices and the balance 3G. And how many iPhones? Our Digital Life Canada tracking now suggest that about 2.5 million Canadians are now using an iPhone. The total number of Canadians using any wireless device has broken through the 25 million barrier at the end 2010.